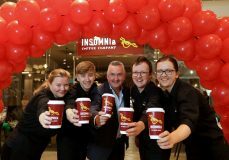 Insomnia, Ireland’s leading independent coffee chain, has officially launched its brand-new Belfast city centre outlet at CastleCourt Shopping Centre, only its second in Northern Ireland. 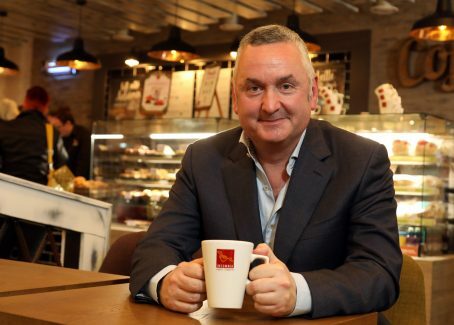 The new café occupies the unit formerly held by American Candy World and provides ten new jobs for the local workforce. 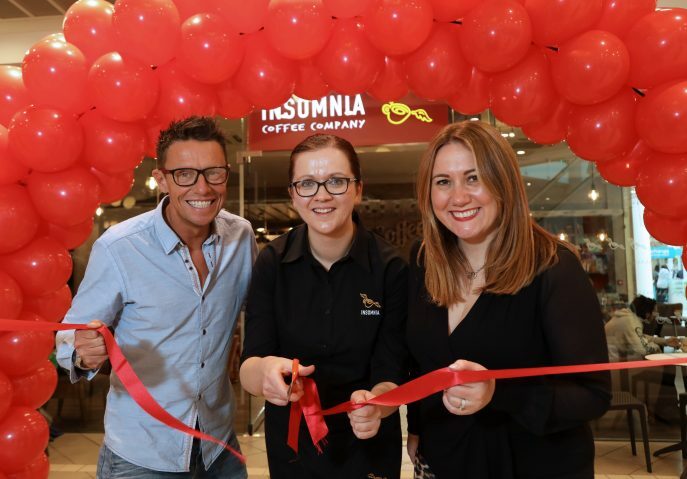 Located on the ground floor of CastleCourt, the new Insomnia café can be found in the immediate vicinity to the soft-play area and the Smithfield Market entrance. 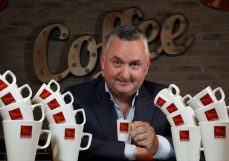 Pictured at the new outlet in CastleCourt, Harry O’Kelly, Insomnia Coffee Company CEO (centre) joins Q Radio’s Breakfast presenters, Stephen Clements and Cate Conway.